Business audits are no fun. They can create intense feelings of stress and uneasiness. Your business could be audited as part of standard procedure or because of an unusual or suspicious tax return. Either way, if you’re receiving a business audit, you’ll want to do anything you can to keep the CRA on your good side and make the process as smooth as possible both for yourself and for the auditors. Here are a few tips you can take advantage of if you’re left in this sticky situation. Business audits will look at your receipts and records. Whatever income and expenses you have declared and claimed on your income taxes should be recorded. You must keep all of your records for six years after submitting a tax return. The CRA auditors will want to be able to look up any individual transaction and see that you can verify them. The more detailed your records are, the easier this process is going to be. All of your expenses should be documented with accompanying receipts, with a reference explaining how they were paid, such as with a note saying they were paid with cash or with a cheque number used to pay them. If your records are inconsistent or if anything you’ve reported doesn’t match your records, the auditors will have to proceed with a more in-depth investigation. If all of your records are in order, then the audit will be complete and you’ll be able to get back to your regular business routine. In order to know which records to have on hand, you’ll need to know what the CRA will be looking for. To keep on the CRA’s good side, you’ll need to provide all original documentation, no photocopies. This can include receipts for business purchases, invoices, any cancelled cheques, and all of your bank statements. They’ll also look at your tax calculations and your bookkeeping and accounting programs. During business audits, bookkeeping irregularities and errors or incomplete records are your responsibility. The auditors will not do your bookkeeping for you to help you become compliant. The auditors will ask you to make any of the necessary corrections, recalculate your taxes correctly, or obtain the required receipts or other proof needed, which may mean you’ll have to make some trips to the bank or to your suppliers. The more incomplete your records are, the longer the audit will take, which won’t make the CRA happy. Having a good attitude and being helpful during business audits can help you out along the way. The CRA auditors are just doing their job. If they believe your expenses aren’t deductible or they don’t believe you’ve demonstrated valid reasons for your claims, it’s best to work with them, rather than argue with them. The audit can end in a few ways. The auditors might see that all of your records are in order and the process is completed without any issues that need to be resolved. Or, if discrepancies are noted, you’ll have to fix them. You may have misunderstood a tax regulation or made an honest mistake that must be rectified. There might be a credit or balance due. You’ll be notified by mail in at least thirty days and you’ll have to respond and either question or accept the finding of the audit. Business audits don’t have to be so bad. If you have your documentation in order and work with the auditors throughout the process, it can be done in no time. 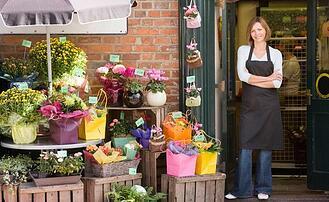 One of the principle difficulties in operating a business is dealing with tax considerations. 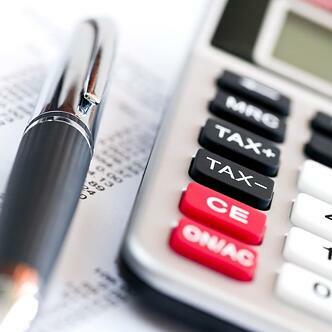 If you're a US-based business operating in Canada, those tax considerations are doubled. You have the tax codes of two countries to deal with, along with multiple provinces, as well as treaties that can affect tax considerations. Trying to sort it all out, and keep it sorted, can consume an inordinate amount of time and energy. 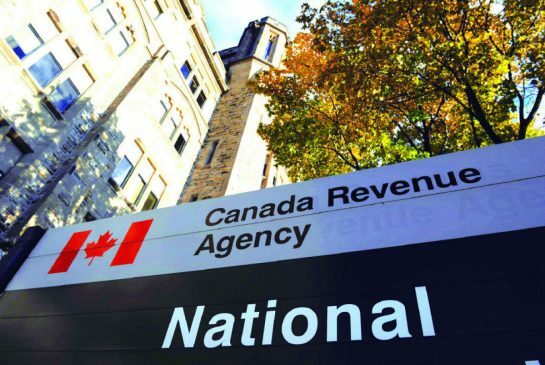 Typically, a US business will owe taxes to the Canada Revenue Agency if they are deemed to be "carrying on business in Canada." The definition of "carrying on business" is not always clear, and can be affected by numerous factors like gross sales, number of days conducting business, office locations, and employees. If you are deemed to be carrying on business in Canada, you will be regarded as a permanent establishment (PE) for tax purposes. If you are deemed to be a PE, you will owe withholdings on your gross sales, employee withholdings, Canada Pension Plan, Employment Insurance, and Workers Compensation contributions. You will also be required to make regular filings, and may be required to pay a security against future withholdings. Determining when, and how much, to withhold from employees' paychecks is one of the more cumbersome tax considerations. If you're business is deemed to be a PE, you will be responsible for collecting taxes from resident and non-resident employees. The amount of taxes withheld from each paycheck, as well as yearly maximum withholdings, vary from year to year, and province to province. Any mistakes made concerning withholdings will largely rest on you. If you withhold too much, you will be responsible for reimbursing the employees, and filing for a refund from the CRA. If you withhold too little, you are responsible for making up the difference. You can then attempt to collect the missed withholdings from the employees' future paychecks. If they are no longer with you, or if it has been longer than a year, you're pretty much stuck with the bill. Canada has a variety of programs designed to ensure the long-term health and safety of employees. The Canada Pension Plan (CPP), Employment Insurance (EI), and Worker's Compensation (WCB) programs are all designed to provide employees with monetary support when they aren't working. The funding for these programs comes from a combination of employee and employer contributions. As an employer, it's your responsibility to determine whether you need to be making these contributions, and how much you need to be paying. The amounts differ from year to year and, to make things more complicated, Quebec operates under a different system. There is a yearly maximum for withholdings and premiums, and it's up to you to monitor the contributions you've made yourself, and on behalf of your employees. These are some of the simplest, most basic tax considerations for a US-based business operating in Canada. Even these tax requirements have varying degrees of difficulty and evolving applications. Digging deeper into the tax code reveals a cumbersome, convoluted tax code that can only be understood by experienced professionals. The payroll professionals at The Payroll Edge have years of experience in navigating Canadian tax laws for US businesses. They provide a wide range of services that help US companies hire workers in Canada without having to try to learn an entirely new tax code. With their help, you can ensure that your US company is in full compliance with all applicable Canadian tax, labor, and payroll regulations. Managing Canadian payroll is no easy task. For US-based businesses, there are numerous administrative hurdles that must be overcome before paying Canadian employees. Overcoming those hurdles is a time-consuming and expensive process. Once the hurdles have been cleared, there are ongoing concerns about the complexity of the payroll laws, as well as the frequent changes to those laws. The headaches associated with Canadian payroll have kept many US-based businesses from expanding into Canadian markets. For some businesses, the immediate and ongoing costs, as well as the risk of making mistakes, are simply too much to bear. Those companies choose to forego a Canadian expansion, rather than deal with the complexities of Canadian payroll law. 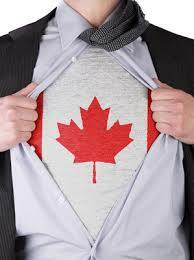 Fortunately, there is an easy, affordable way to deal with Canadian payroll, while also minimizing the potential risks. Paying Canadian employees isn’t as simple as doing a quick currency conversion and sending out checks. Before you ever get to the point of paying employees, there’s a laundry list of administrative hoops to jump through. To legally establish a Canadian payroll department, you have to have a physical presence in Canada. This means establishing an actual, working office. You can’t get by with a postal box or an empty storefront. This cost alone has caused uncounted businesses to abandon their expansion plans. 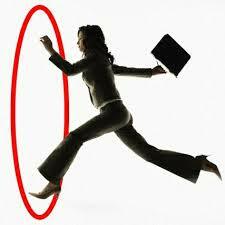 Once you’ve established a physical presence, you’ll be faced with a few more hoops. You’ll need to set up all of your government accounts—the difficulty of setting up these accounts will vary greatly, depending on your type of business and what provinces you’ll be operating in. After that, you’ll need to set up bank accounts, purchase insurance, and schedule any workplace safety inspections. Once all of that is done, and you’ve gotten the green light from all of the different agencies involved, you can start hiring employees. 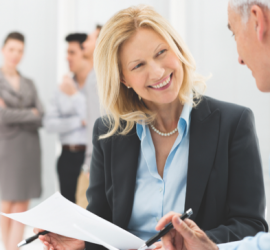 Hiring employees isn’t the final step in the Canadian payroll process. Once hired, they must be properly classified, trained, and provided all legally required materials regarding workplace health and safety. After they begin work, you’ll be responsible for keeping up with any changes to the laws, as well as any changes to worker classifications or job sites. Those laws can change with little notice, and are often subject to differing interpretations. Mistakes along the way will cost you time and money. Make mistakes after you’ve hired employees, and you could be facing audits, fines, and criminal penalties. You could spend a lot of time and money trying to set up your own Canadian payroll department. Or, you could spend no time and less money hiring a Canadian Employer of Record (EOR). An EOR performs the same functions as a Professional Employer Organization (PEO) in the States. You pay the EOR directly, and they manage all aspects of your payroll. From hiring and training, to workplace safety and tax remittances, everything is handled for you. Since they’ve already set up the necessary accounts and infrastructure, they can start conducting your business in Canada almost immediately. And, since they service a variety of clients, the costs of jumping through the hoops are distributed across those clients – no single business has to foot the entire bill themselves. An EOR like The Payroll Edge saves time, money, and risk. With their professional services, it’s unlikely that any mistakes will be made when dealing with Canadian payroll. They have the training and experience to keep up with the current complex payroll laws, and to deal with any future changes to those laws. With their help, you don’t have to worry about Canadian payroll problems keeping you from operating in Canada. When trying to navigate the complexities of Canadian payroll laws, it’s good to have a friend on your side. A Canadian payroll calculator can be that friend. For US-based businesses, Canadian laws can be especially cumbersome and difficult to overcome. Like a good friend, a Canadian payroll calculator can offer advice, guidance, and encouragement. That advice and guidance can keep you from making costly mistakes, while encouragement can keep you going even when complying with the laws seems impossible. There are a lot of tools you can use to ease your Canadian expansion, a Canadian payroll calculator is one that will make it feel like you have a trusted friend in your corner. Sometimes, you just need to know if you’re on the right track. 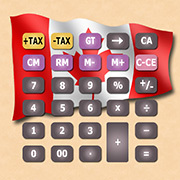 A Canadian payroll calculator can help you determine if your withholding calculations are near the mark. By entering some basic employee information, you can get an overview of the most typical tax situations in different provinces. While it can’t give you information on every possible scenario, a Canadian payroll calculator can give you a good starting point for the most common tax situations. 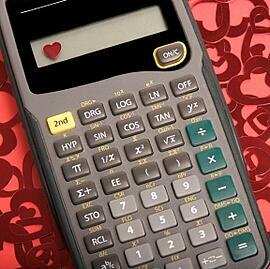 Best of all, like a trusted friend, a payroll calculator is available whenever you need it. You don’t have to wait for business hours, or make an appointment—just open the calculator and start getting help. Like a good friend, a Canadian payroll calculator can help keep you from becoming your own worst enemy. If the advice it gives varies wildly from your own calculations, then you should double-check your numbers. It’s possible that you’re entering erroneous information, or misinterpreting some aspect of the law. If you ignore the advice and stick to your own numbers, you may be opening yourself up for future legal consequences. While the calculator won’t be right in every instance, broad discrepancies should be thoroughly investigated. If you can’t decide between your numbers, and the numbers the calculator gives you, then it’s time to consult a professional. A good friend will tell you when it’s time to talk to an expert. If a Canadian payroll calculator is consistently showing that your numbers are off, that’s an indication that it’s time to get professional help. There are a lot of complexities to Canadian payroll law, and it’s possible that you’re missing something important. The calculator has no way of knowing if it’s a worker classification problem, a job-site location issue, or a simple arithmetical error. All it can do is take the information you give it, and provide its best guess based on the most common regulations. For anything beyond that, you need to talk to a payroll professional. Fortunately, it’s easy to find other trusted friends for your corner. A professional payroll service, like The Payroll Edge, can handle all of your Canadian payroll needs for you. 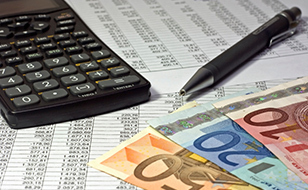 They have a highly-trained, highly-experienced staff of payroll professionals. With their help, you’ll speed up your payroll process, while also minimizing the chances of an audit or penalties. Using a professional payroll service takes all of the guesswork out of handling your payroll, while also freeing up your staff to handle other tasks. While a Canadian payroll calculator can help you do it yourself, a payroll service provider can do it for you. In an effort to save money, it can be tempting to try to handle as many tasks as possible in-house. Many businesses are asking their personnel to handle a growing list of responsibilities, regardless of their training or expertise. While some tasks afford a margin of error, and allow for time to learn the responsibilities, handling Canadian payroll tax responsibilities isn’t one of those tasks. If you’re considering handling Canadian payroll tax compliance in-house, there are a few things you should know beforehand. 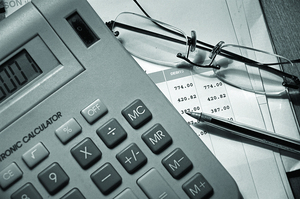 Canadian payroll tax laws are complex and difficult to learn, let alone master. To make matters worse, the application of those laws can change from one situation to the next, and may not be applied the same way by every agency. Learning which laws apply in which situation takes time and experience. During that time, any mistakes can cost the business dearly. The CRA, and other agencies, won’t accept ignorance or inexperience as an excuse for non-compliance. At best, mistakes will result in back payments, along with the associated costs of processing and distributing new cheques. At worst, fines and criminal penalties can be imposed for any errors in reporting or remittances. Learning Canadian payroll tax laws is a constant process. The laws, at all levels, change frequently. These changes can be in the form of new legislation, changes to existing legislation, or differences in application from year to year. Staying on top of these changes requires constant vigilance on the part of your personnel. They’ll have to attend seminars, training sessions, and read up on proposed and actual changes. This investment of time and effort will come directly out of their overall productivity. If they make any mistakes with the new legislation, any savings you enjoy by handling Canadian payroll tax in-house will quickly disappear. All of the time, effort, and money invested in training your personnel can vanish after a single CRA audit. Government agencies have stepped up their compliance checks, meaning more agents looking for more mistakes. The fines and penalties for first-time offenders have risen steadily in recent years, making any errors more costly. Even the best training, and intentions, aren’t a substitute for experience. While your personnel are trying to develop that experience, the CRA will be watching for any slip-ups. Using your in-house personnel to handle Canadian payroll tax compliance may appear to save you money on upfront costs. You’re already paying your personnel, so why not add to their responsibilities? However, when you add in the cost of training, the lost productivity, and the potential fines and penalties, it becomes a losing proposition. There are ways to cut expenses that don’t put your business at greater risk of a government audit. Using an outsourced payroll provider saves you the expense of constant training, and keeps your personnel focused on tasks that directly benefit your business pursuits. A payroll provider also minimizes the risk of a government audit, saving you money on fines and legal representation during government actions. When you do the math, it just makes sense to let a payroll provider handle your Canadian payroll tax obligations.